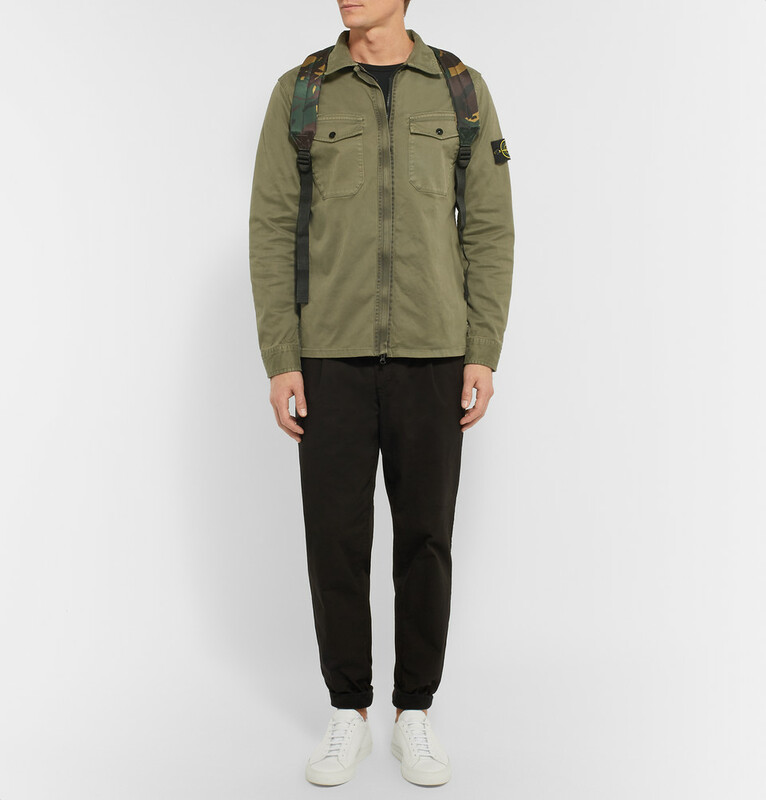 Inspired by utilitarian workwear and finished with handy pockets, Stone Island's overshirt has practical appeal. It's been crafted in Italy from a flexible stretch-cotton and is fastened by a two-way zip through the front. The army-green hue underscores this masculine design's military feel. Reigning Champ - Drawstring-Hem Cotton-Jersey T-Shirt. Designed exclusively for MR PORTER. Handmade in Canada from soft cotton-jersey, this Reigning Champ T-shirt is finished with a stretch-shell drawstring hem. Undoubtedly sporty, it's a fail-safe choice for athletic looks. Wear yours with relaxed shorts or sweats. These Common Projects leather sneakers have gained cult status thanks to their minimalist design and superior construction. This white version is perfect for creating crisp city-smart looks. Wear this pair with rolled-up selvedge denim jeans and a lightweight knit for effortlessly understated flair. Eastpak launched in 1952 as the chief bag manufacturer for the US army, and this camouflage-print backpack is a nod to its storied military heritage. It's fitted with an easy-access front zipped compartment to stow your wallet and keys and the internal slip pockets are ideal for stashing smaller personal effects. This durable design will keep everything safe and to hand on busy days in the city.